I read this article and found it very interesting, thought it might be something for you. The article is called Design: Salvage This! Jamie Murphy – Salvage Press and is located at https://www.totallydublin.ie/more/design-section/design-salvage-this-jamie-murphy-salvage-press/. 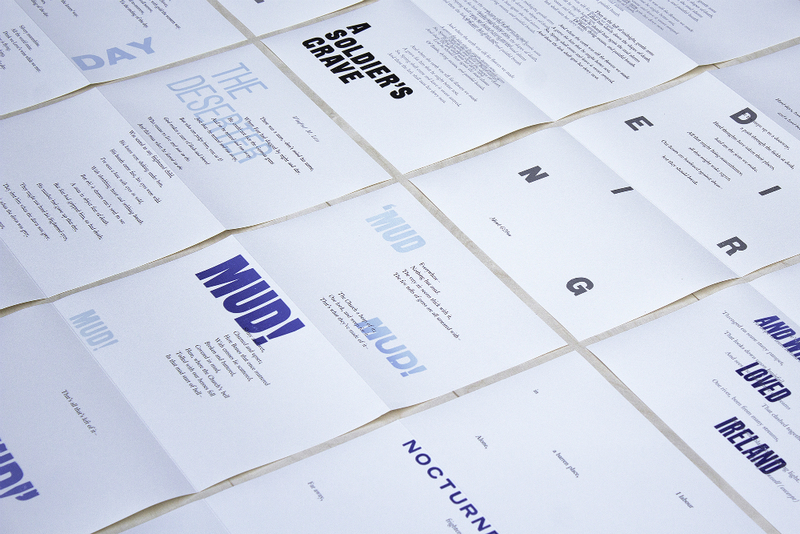 Jamie Murphy is a typographic designer, educator and letterpress printer. His approach to design and making sees the work fall evenly between design and craft and the output is a celebration of both. Under his Salvage Press imprint, Murphy has produced a series of ambitious and involved publications: some using historical sources as their basis; others the product of collaborations with artists and illustrators. 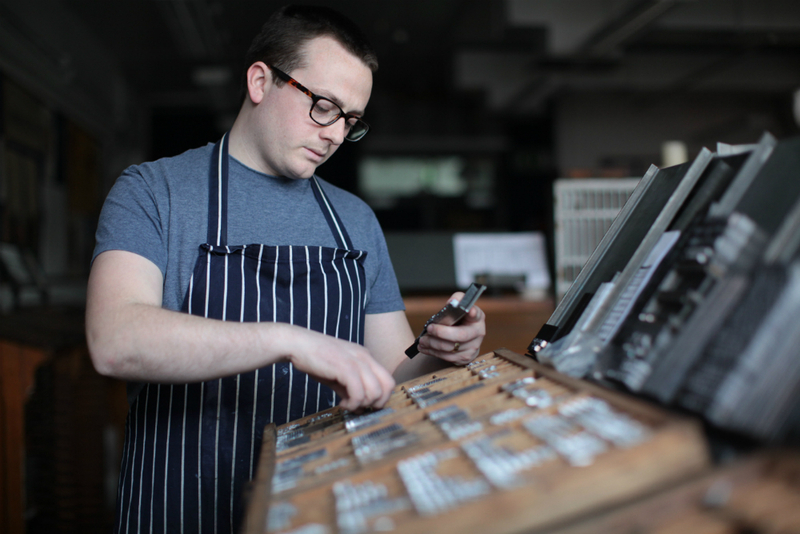 His work as an educator crosses over with his personal practice — the department of Visual Communication in NCAD boasts its own letterpress print workshop, giving him a place to create and experiment. For students, access to a craft that lies within the very fundamentals of typographic design is a huge bonus. “15 years ago I fell in love with typography and letterpress printing while studying for my undergrad at NCAD. Following that I worked in the design industry for a few years before starting my own small studio, Fjord, in 2008 — not the huge studio people are familiar with today, but a small setup with the same name based on Dame Street. My approach with Fjord was very different to what I had become accustomed to in industry, I was trying to approach projects from a ‘making’ angle, putting craft to the fore. When the downturn became severe enough I found myself back in NCAD, this time studying for an MA. It was during this journey that I decided that I wanted to concentrate on letterpress design and step back from commercial work altogether. The Salvage Press, the small imprint under which I publish work, was born in late 2012. In 2015 I was appointed letterpress Printer at NCAD which kind of completes the circle. “I tend to work long days, which is OK because I enjoy what I do. First and foremost, I work with students of Communication Design — I’m the sole technical assistant to over 90 students who I work closely with on a daily basis. Sometimes this work is light enough to allow me to carry out essential maintenance and housekeeping, but mostly it’s quite intense and busy and it’s very easy to rack up 50 or 60 hours in a week. When I’m not working with students I’m planning and designing personal projects, usually in the form of books. In fact I’m always working on a book — whether thinking about a subject or a concept or paper or typeface or collaborators or bindings or whatever. Luckily a lot of this can be done on the daily commute! “The two roles benefit from each other. I’m immersed in the field of typographic design and letterpress printing which means that I’m able to consult with, direct and inform students towards best international practice, towards new and interesting ideas around structure, form and materiality. The outcomes of experimental student work certainly influences my personal work. My personal work also influences my approach to education, I travel and meet with the very best practitioners quite frequently and those conversations filter back into the workshop. I think that as I grow as an educator I also grow as a designer, and vice versa. “Projects come about in different ways, sometimes I’m approached by artists or authors and other times I’ll instigate a project myself. 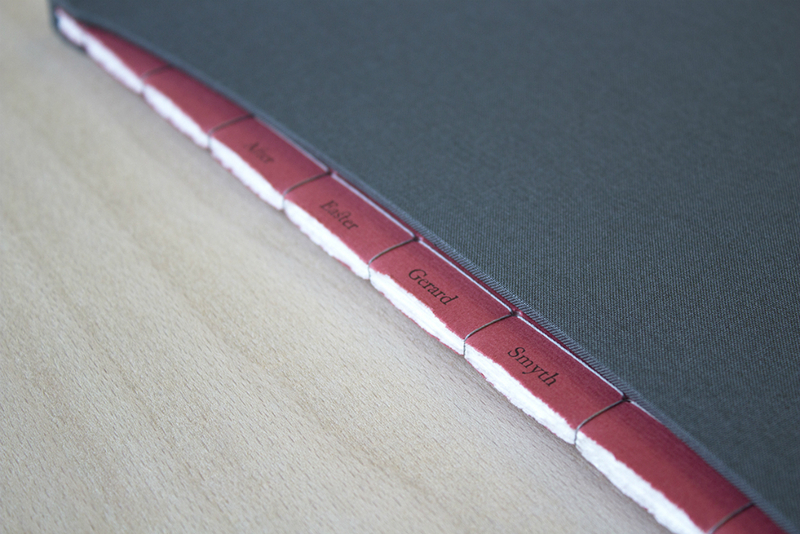 I think I’ve worked on 13 books to date, each one designed to offer a learning curve to develop me as a book artist. If a project doesn’t interest me personally I won’t progress it very far. Some of these books take a very long time to produce and are extremely expensive to make so I need to be interested enough to complete the job. I rarely take on commissioned work — I’m either too busy or not interested. “I’m not sure there’s a formula, I think that if I get excited by a project’s potential then it’s got a good chance. Sometimes the project wants to be small and quaint and other times it wants to be big and lush, there’s excitable aspects to both kinds. There are lots of authors and artists who I really admire and getting to collaborate with some of these people is a very rewarding experience. “On the Communication Design course in NCAD we’re very driven to push students towards best international practices and to educate them as problem identifiers and problem solvers — intelligent designers — as opposed to teaching style or aesthetic trends. The focus here is on concept and thought process. A competent designer thinks creatively, considers every aspect and executes precisely. “I’m a firm believer that opportunities exist outside of your comfort zone, that as designers we can find new and interesting markets outside of Ireland. But we can be our own barriers. So far The Salvage Press has done business on every continent (except Antarctica, which I’m working on!) with buyers ranging from small private collectors to the biggest academic and institutional collectors in the world. Those markets had to be identified and approached. I couldn’t do what I do if I relied totally on the fortunes of one small island. We tend to get rattled when a large domestic project goes to an ‘outside’ company, but those international opportunities also exist for Irish designers. Some studios are doing good work outside of the country and are seeing the enormous potential that exists. To make things better, I think that others are going to have to look further afield too.